Dog Spike, also named Track spike or Railroad spike. 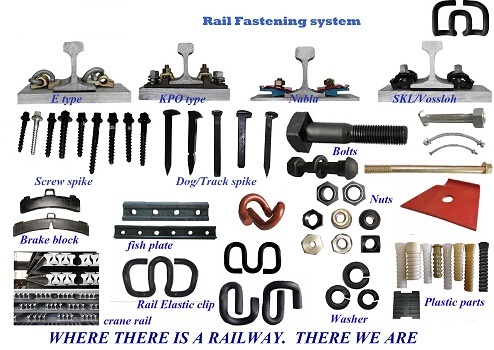 It's a type of rail fastenings and is mainly used in rail construction. 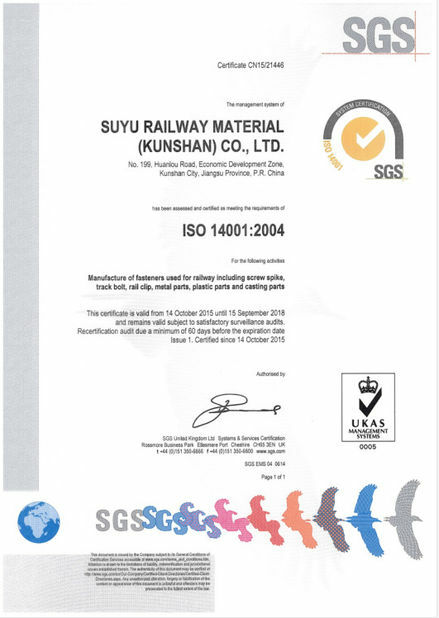 Zhongyue Railway Material Co.,Ltd is a leader of supplying rail fastenings. We are specialized and well-experienced in the areas of the worldwide, especially in Europe, North and South America, Oceania and South Africa also. We support railway contractors in all over the world. Look forward to hearing from you eagerly. 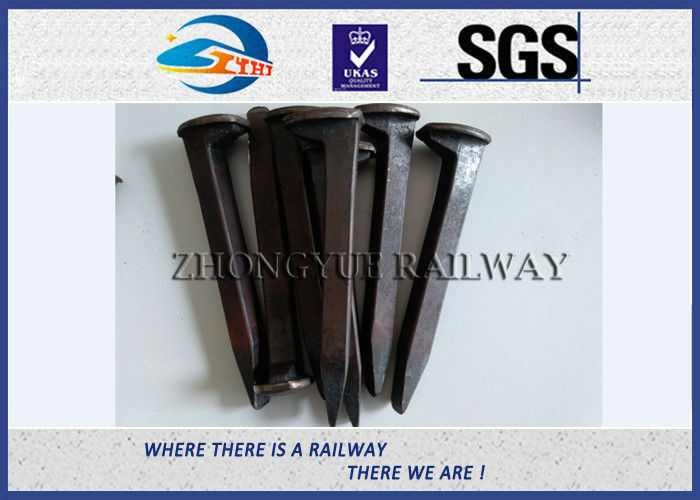 Track spikes are designed to maintain gauge between the running rails and also they are mean to secure the rail to the tie. 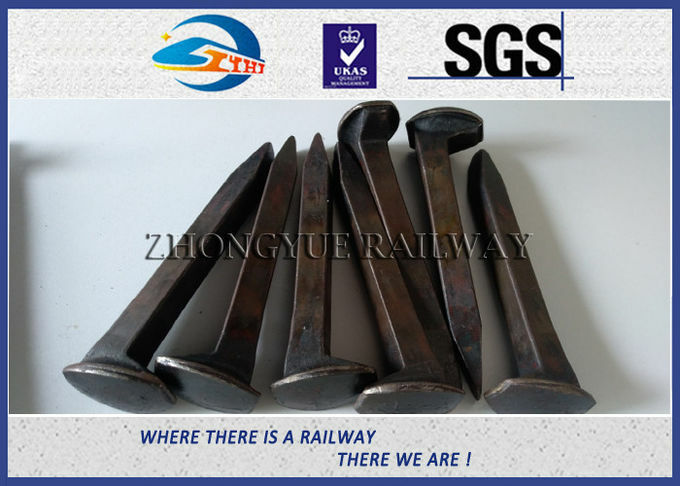 Track spikes have various shapes serving for different functions. 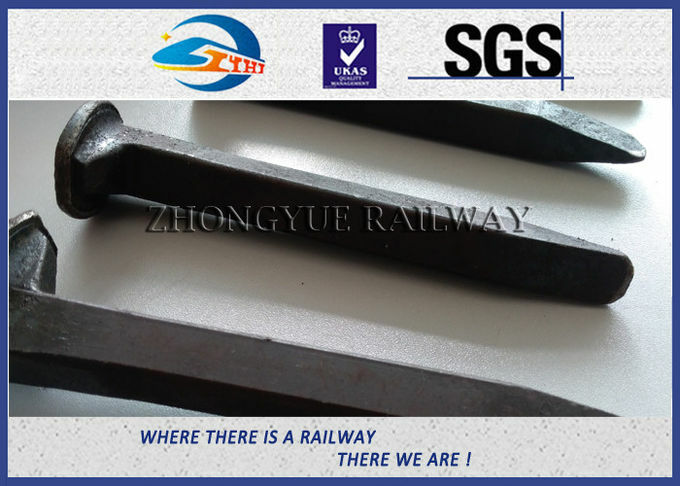 The materials for railroad spikes production can be carbon or stainless steel based on the requirement, and the surface of the spikes can be plain, black, hot dipped galvanized, or sherardized, etc. Among the various railroad spikes, dog spikes and the screw spikes are the most common types.